Cyclone winds and floods that swept across southeastern Africa affected more than 2.6 million people and could rank as one of the worst weather-related disaster recorded in the southern hemisphere, U.N. officials said on Tuesday. “There’s a sense from people on the ground that the world still really hasn’t caught on to how severe this disaster is,” Matthew Cochrane, spokesman for International Federation of Red Cross and Red Crescent Societies, told a U.N. briefing in Geneva. “The full horror, the full impact is only going to emerge over coming days,” he added. The official death count in Mozambique stands at 84 – but its president Filipe Nyusi said on Monday he had flown over some of the worst-hit zones, seen bodies floating in rivers and now estimated more than 1,000 people may have died there. Several rivers had broken their banks, or were about to, leaving a huge area covered by the waters, and only accessible by air and water, Lola Castro, WFP regional director for Southern Africa, told the U.N. briefing by phone from Johannesburg. 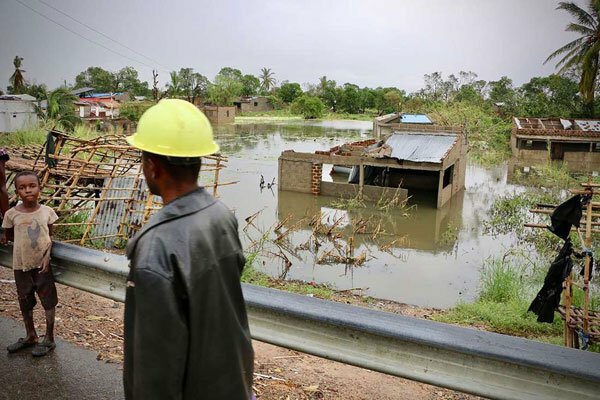 Heavy rains preceded the cyclone, compounding the problems, said Clare Nullis of the U.N. World Meteorological Organization said . “It the worst fears are realised … then we can say that it is one of the worst weather-related disasters, tropical-cyclone-related disasters in the southern hemisphere.” Droughts are classed as climate-related not weather-related. In Beira, a low-lying coastal city of 500,000 people, Nullis said the water had nowhere to drain. “This is not going to go away quickly,” she said.